Travelers from around the world demonstrate nuances when it comes to how they travel, from shopping for and booking a trip, to their preferences on what types of vacations they prefer. A new study from Expedia Media Solutions looked at key differences in habits and behaviors between American travelers and Canadian travelers. American travelers tend to take more frequent, but shorter vacations. On average, they spend 6.7 days per trip, while Canadian travelers spend an average of 8.7 days on a trip. However, Americans take two more trips per year, for a total of 4.4 trips annually, vs. the 2.8 trips Canadians take yearly. Americans are also more likely to have already decided on a destination than Canadians, and tend to stay within the country for their travels, with 82 percent reporting their last vacation was a domestic one. Comparatively, the majority of Canadians—59 percent—travel internationally. American and Canadian travelers have a similar tendency to have booked their last trip via online travel agency, with about half doing so. However, Americans are slightly more likely than Canadian travelers to have booked via hotel site, at 32 percent vs. 23 percent. Here are three key takeaways from the study on how destination marketing organizations, hoteliers and other brands can reach and influence these travelers. Highlight deals on travel and transportation. 91 percent of both American and Canadian travelers said that they look for deals before making a travel decision, and that budget is an important factor for them in taking a trip. North American travelers are more likely to stay in hotels and travel by plane than travelers from other countries. Use compelling imagery and informative content in your marketing channels.Informative content from destinations and/or travel brands is more likely to influence U.S. travelers than Canadians. About half of both traveler sets said appealing imagery in advertisements and informative content help influence their decision-making process. Create a multi-screen strategy with relevant content for how and at what stage people are using various devices. North American travelers are primarily using desktops or laptops during the inspiration, research and booking phases, though smartphone usage dominates during the trip itself. 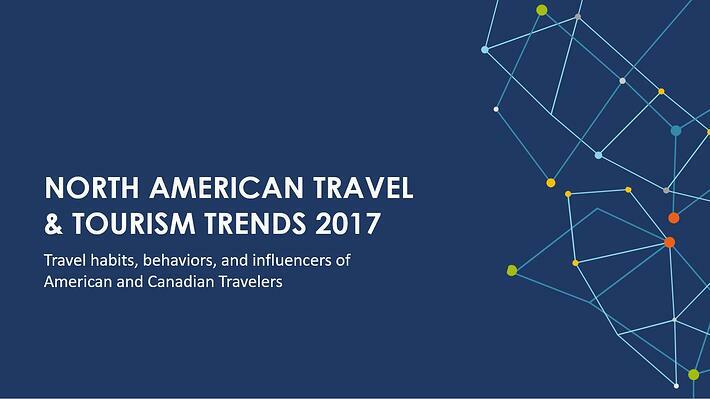 For more insights on travelers in North America and to find out more about how to reach them, download the full study . This post initially appeared in Skift.